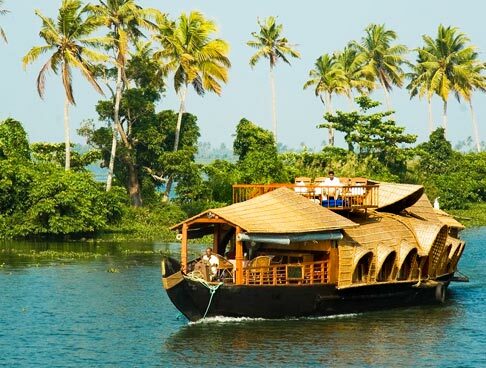 The southern region of India is famed for its tourists attractions, tranquil ambiance and mesmerizing scenery. 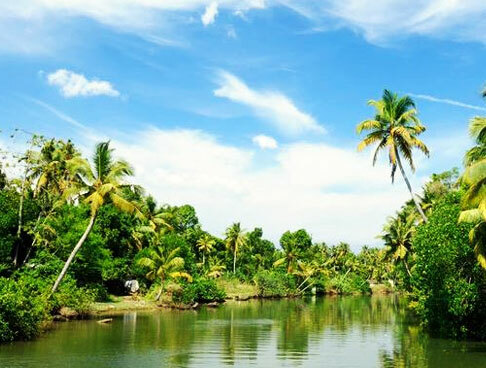 A Joyous Holiday in South India by Kerala Backwater offers you a chance to visit some of the best tourist destinations of two of South Indian states of Karnataka and Kerala. During the well-planned itinerary of 5 nights and 6 days, explore prime South India destinations such as Coorg, Mysore and Wayanad. Have a memorable vacation with your loved ones. After arriving in Bangalore, meet our tour representative who helps you with an assisted transfer to Coorg, by road. Upon reaching, complete the check-in formalities at the hotel. The rest of the day is free for you to explore the place on your own. 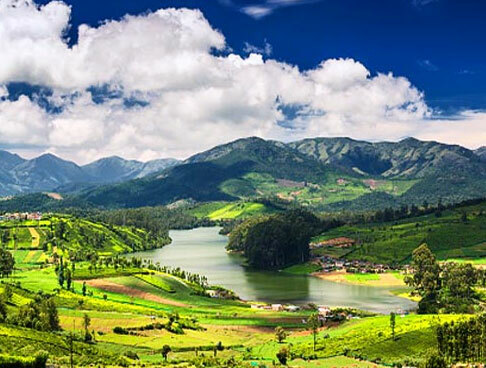 Also known as Kodagu, the lush hill station of Coorg boasts of scenic beauty and pleasant weather in abundance. 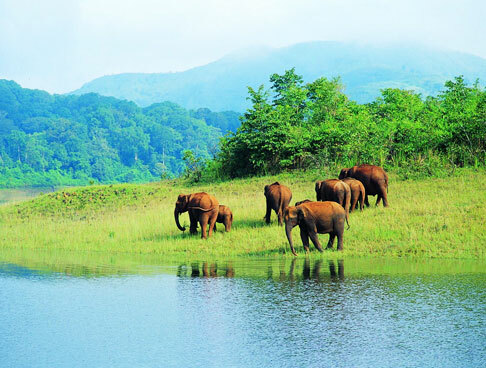 Placed in the Western Ghats, Coorg is dotted with a number of tourist attractions, worth-visiting. 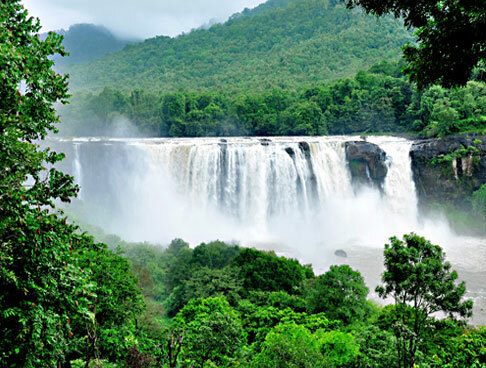 It also attracts trekking and wildlife enthusiasts in huge numbers. Stay overnight. On day 2 of the tour, have breakfast and get all set to explore the tourist attractions of Coorg. The list of attractions include- Coorg's largest town Mercara known for its orange orchards and coffee plantation, Raja's Seat- a well-maintained garden of musical fountains and seasonal flowers, Omkareshwar temple- commissioned in 1820, this temple is an amalgam of Islamic and Hindu architectures, Talakaveri temple- dedicated to Kaveriamma, this is the originating point of River Kaveri and Bhagamandala- a sacred site on the confluence of river Kaveri and river Kanika with temple dedicated to several Gods. Later, indulge in fun activities at Abbey falls. the last visit is to the Golden Temple of Bylakupee- India's second biggest Tibetan settlement. Overnight in Coorg. Post breakfast, check-out from the hotel and begin driving to Mysore, the Cultural Capital of South Karnataka. As you arrive in Mysore, check-in at the hotel and get ready to explore the enchanting Mysore city. Visit to the Mysore Palace, also known as Amba Vilas Palace- the seat and official residence of the Wodeyar rulers and Brindavan gardens- a well-manicured garden with colorful flowers and musical fountains. The next visit is to the Chamundi Hills with its huge black-colored Nandi Bull statue and lastly St.Philomena's Church- a Neo Gothic construction, built in 1936. Stay overnight in Mysore. After relishing sumptuous breakfast on the 4th day, check-out from Mysore hotel and begin driving towards Wayanad. On reaching, as you complete the check-in formalities, you are free to spend the day as per your own liking. 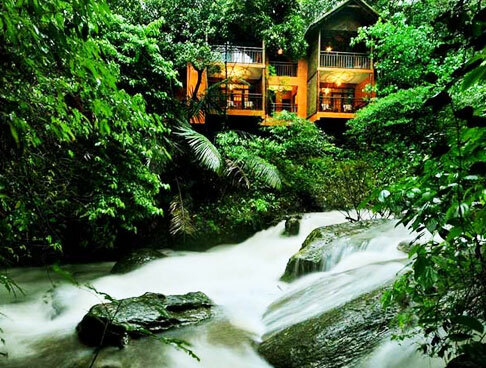 The beautiful Wayanad hill station is an ideal destination to have a peaceful vacation with the loved ones. The place has been blessed with lovely weather, lush greenery and several scenic spots. Stay overnight. 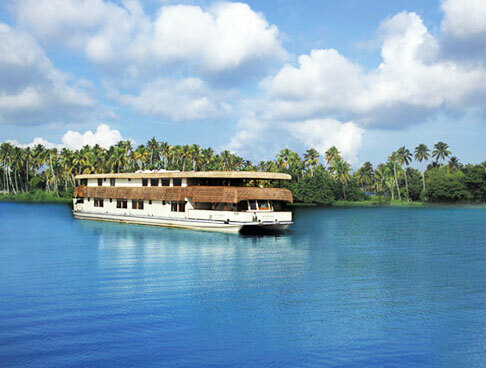 On day 5, post breakfast, leave your hotel room to partake in a sightseeing tour of Wayanad. The list of tourist attractions of Wayanad includes the Glass house of Kottamuda- an extremely mesmerizing site, Pazhassi Raja Tomb- a beautifully built memorial of Veera Pazhassi Raja, famed as the Lion of Kerala, Chembra Peak- Wayanad's highest peak, Banasurasagar Dam- the largest earth dam in India, Edakkal Caves – 2 natural caves with several cave drawings of symbols, animals, humans etc and lastly, Padinjarathara dam-offering you mesmerizing views. Afterwards, return to your hotel for a comfortable overnight stay. After breakfast on the last day of the tour, get an assisted transfer to Calicut airport or railway station for your onward journey.